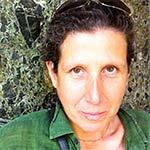 Curriculum and Project Coordination: Debra has a BS in Education and MA in Behavioral Psychology from Columbia University. She worked for the NYC Dept. 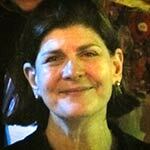 of Education for 25 years as an educator and educational evaluator. Most recently she served as the 10th grade learning specialist at East Side Community High School where she collaborated closely with the 10th grade Humanities teacher around topics concerning World War II and the dropping of the atomic bombs. Ms. Brindis has worked with Dr. Kathleen Sullivan in bringing peace education into high school classrooms for over fifteen years and has been part of Hibakusha Stories since the very beginning. UN Liaison: Michael is the retired Chief of the United Nations Office for Disarmament Affairs Information and Outreach Branch. He was instrumental in revitalizing disarmament education at the UN and supervised the development of the UN Cyberschoolbus disarmament and non-proliferation education site. 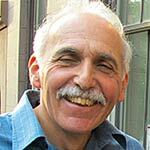 Having left macro peacemaking at the United Nations, Michael now does micro peacemaking by mediating conflicts and training mediators at the New York Peace Institute, a leading alternative dispute resolution non-profit organization working in Brooklyn and Manhattan, known for its standard-setting mediator training programs. Interpreter: Rachel, originally from Japan, is an independent interpreter, lifetime member of Veterans For Peace, volunteer staff member of Peace Boat US, an active member of the Manhattan Project for a Nuclear Free World and founder of the volunteer group “able.” Her language capacity has been utilized in numerous international events. She first encountered Hibakusha Stories in 2010 during the NPT Review Conference and has been involved with us as an interpreter ever since. On July 7, 2017, Rachel had an amazing, once-in-a-lifetime moment with the Hibakusha Stories family at the UN when the Treaty to Prohibit Nuclear Weapons was adopted by 122 nations. 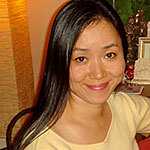 Interpreter: Marie was born in a Japanese-American household and raised in a completely bilingual environment. She has a profound desire to do positive work that will endure for generations to come. Her background as a television and radio personality, as a musician and artist in both the US and Japan and as a freelance translator and editor have come to be invaluable assets in the interpreting of the Hibakusha Stories message. Hibakusha Stories Fellow: Clifton is the oldest grandson of 33rd US President Harry S. Truman and his wife, Bess. He is the son of the late author, Margaret Truman, and her husband, former New York Times Managing Editor E. Clifton Daniel Jr. Mr. Daniel is a former journalist and public relations executive and honorary chairman of the board of the Truman Library Institute, the nonprofit partner of the Truman Presidential Library and Museum in Independence, MO. Clifton is also secretary to the board of the Harry S. Truman Scholarship Foundation. He is the author of Growing Up With Grandpa: Memories of Harry S. Truman (1995, Birch Lane Press) and Dear Harry, Love Bess: Bess Truman’s Letters to Harry Truman, 1919-1943 (2011, Truman State University Press). He has recently appeared on The Moth: True Stories Told Live and is currently at work on a memoir, a children’s book and a screenplay, all about the bombings of Hiroshima and Nagasaki. 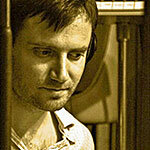 Hospitality & Sous Chef: Blaise is a freelance recording engineer and producer. He has worked with diverse artists over his 30-year career, including Diamanda Galas, Wu Tang Clan and Philip Glass. Blaise worked as technical coordinator for the Hibakusha Stories concert event “With Love to Hiroshima and Nagasaki, A Concert For Disarmament” at the NY Society for Ethical Culture in 2015. He and his comrade in love, Kathleen Sullivan, currently host The Parlor Series, a monthly Sunday jazz concert at his family home in Chelsea. Representative: Jonathan is a co-founder and the current Executive Director of the New York Peace Film Festival (NYPFF). 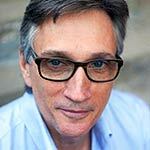 Jonathan also co-founded and was Executive Director of Interborough Repertory Theater (IRT) from 1986–2004. In 2000 he compiled, produced and directed Hibakusha Outcry: Survivors Respond to their Nuclear Baptism, a compilation and staging of poetry written by and about survivors of the Hiroshima bombing. 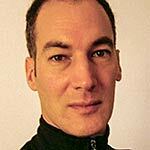 Jonathan also works as a Green Party and peace activist, participating in many campaigns, both issue and electoral, where he has worn many hats, including that of press representative. Consultant: Andrea has been a School Improvement and Literacy consultant since 1994, working throughout the United States and in Gabon, Liberia and Nepal. Her diverse experience has included improving education for incarcerated youth, assisting Liberian government agencies in their attempt to make education available to all, and helping administrators and teachers of high income students change the focus of education from competing in the free market to participation in civic life. She has worked with schools and school districts in adopting, adapting and/or creating curricula that are aligned with the Common Core State Standards. Andrea has taught middle school, high school and graduate school in areas that include English as a Second Language, Teacher Education and writing. 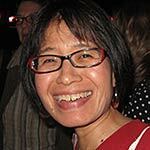 She was Lead Regional Instructional Specialist for NYC Region Nine (that encompassed two hundred schools from Chinatown to the South Bronx); Coordinator of Literacy Staff Development for District Two; and a consultant and member of the Teachers College Writing Project. 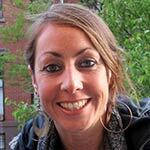 Peace Boat Liaison: Emilie is originally from Southern California. She moved to Japan in 2002, where she had the opportunity to begin working with the International NGO Peace Boat. Currently she serves as the Director of Peace Boat US in New York City and continues to create educational programs both onboard the ship and in the various countries that Peace Boat visits. Since she began working for Peace Boat, Emilie has shared her passion to support the Hibakusha Project which strives for nuclear abolition through educational programs by bringing the voices of atomic bomb survivors from Hiroshima and Nagasaki to people around the world. 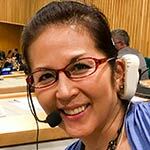 Emilie now serves as a liaison between Peace Boat, the UN Office of Disarmament Affairs and Hibakusha Stories. Interpreter: Kazuko worked at the Japan Society from 1994 to 2017 first as a language instructor, then a member of the Education Department for many years the Deputy Director of Education Programs. She ran the K-12 education programs including study tours to Japan for educators that includes a visit to Hiroshima to meet survivors. 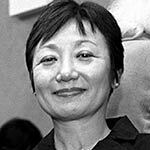 Kazuko has facilitated collaboration between Hibakusha Stories and the Japan Society to bring survivors’ testimonies to New York area school groups. She’s been closely working with the family of Sadako Sasaki to donate two of Sadako paper cranes to the 9/11 Tribute Center in NYC and to the Pearl Harbor Visitor Center in Hawaii. She is the author of Kiseki wa Tsubasa ni Notte (Miracles Flying on Wings), Kodansha 2013. Head Chef: Hayato joined the team in 2011 upon his return from Japan where he experienced the Tohoku Earthquake that led to the Fukushima Daiichi Nuclear accident. He shares his creative culinary skills for the Hibakusha Stories team in hopes of helping to heal the minds and souls of everyone involved in this journey towards enlightening future generations. His gift stems from a background in Japanese cuisine based on macrobiotic/organic/kosher principles. More recently he has gained expertise in the art of fermentation. In addition he is an artist, musician and composer (The Veldt, Apollo Heights, Neycha). Legal Counsel: Nina is an attorney in the areas of entertainment— including theatre, publishing, media, television and film; and not-for-profit corporate law— including organizations involved in alternative medicine; environmental; artistic; human rights and Native American/indigenous peoples’ issues. Web Design and Administration: Bob is a talented and inspired website designer who has brought all his skills to the fore and his ardent prayers for peace on behalf of Hibakusha Stories & YANY. 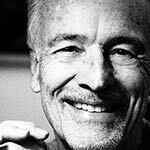 He is an accomplished graphic designer of twenty-five+ years and a long-time filmmaker, providing content to more than a half-dozen YouTube channels, and several Vimeo channels. 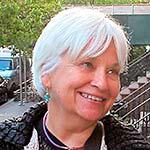 Educator: Alice is a New York City peace activist who became engaged in saving the world during the Vietnam War and is currently working to abolish nuclear weapons and make the end of war on the planet an idea whose time is come. As an advisor to the Nuclear Age Peace Foundation she serves as its UN representative and has been engaged in the stunning effort which just successfully negotiated a treaty to ban the bomb led by the International Campaign to Abolish Nuclear Weapons (ICAN). 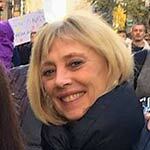 She serves on the Coordinating Committees of World Beyond War, the Global Network Against Weapons and Nuclear Power in Space and the People’s Climate Movement, NY. As a founder of the Abolition 2000 network for the elimination of nuclear weapons and with a commitment to phase out nuclear power and shift to clean, sustainable energy, she organized a successful effort that established the International Renewable Energy Agency (IRENA). She worked in the successful campaign to shut down the Indian Point nuclear reactors in New York and is now engaged in figuring out how make the shut down and decommissioning happen safely and with a just transition for the workers and the community. She served as Secretary of Sustainability of the Green Shadow Cabinet and on the New York City Bar Association’s Energy Committee and Committee on International Affairs. 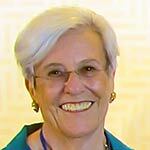 She is the author of numerous articles and is frequently invited to comment on current events on radio and TV. Project Coordination: Carolina is a Holistic Health Counselor, Scenic Artist, Project Coordinator and Administrative Support Professional. She has owned and operated her own adventure tour Company, Dakini Tours, bringing trekkers to Nepal and Tibet. 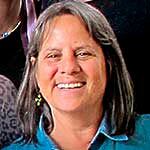 Carol is a committed Peace Activist who has found loving community in the team of volunteers of Hibakusha Stories. Carolina is a founding member and is currently working on growing the base of the National Council of Incarcerated and Formerly Incarcerated Women and Girls. The Council is currently serving as a listserve for anyone that has been involved in the carceral state, connecting women in need with service organizations. In 2017, Carolina initiated with Robert Croonquist SPEAK OUT! Women and Incarceration — a new project for Youth Arts New York. Director and Producer of A Vow From The Ruins: The Story of Setsuko Thurlow, Susan has had a successful 22-year career as a director and producer for several network television soap operas. In addition to directing over 750 hour-long episodes for Daytime TV, she has won both a Daytime Emmy Award and a Director’s Guild of America Award. Recently, she has been working with Arc Media, Inc. creating online content for international clientele. As a Quaker and a feminist, she has always been passionate about global issues for peace and justice so it was a natural fit to produce this important film about Setsuko’s life. Hibakusha Stories Fellow: Miyako is the founder of Miyako i Studio. As an accomplished designer, she has made major contributions to diverse creative projects for numerous Fortune 500 companies for over 20 years. Her belief in the power of art and the individual drives her activism for peace and disarmament. Both her parents are survivors of the atomic bomb dropped on Nagasaki. She was appointed to be a Nagasaki Peace Correspondent by Mayor Tomihisa Taue of Nagasaki City. Miyako created beautiful logos for both Hibakusha Stories and Youth Arts New York. Hibakusha Stories Fellow: Mitchie is president of Arc Media, Inc. and has been working with Japanese companies as a new business development/marketing consultant for the past twenty-five years. She is also a regular contributor to Japan’s Nikkei Sangyo newspaper providing a business perspective from the US. Her grandfather, who was the president of the Red Cross Hospital in Hiroshima, and her mother both survived the dropping of the A-Bomb on August 6, 1945. As a teenager in Hiroshima, she volunteered to assist the American resident director Leona Row at the World Friendship Center, a peace community founded by Barbara Reynolds, the renowned Quaker peace activist. During that time, Mitchie was instrumental in working with Leona to publish and translate the anti-nuclear classic Unforgettable Fire: Drawings by Atomic Bomb Survivors, 1977. 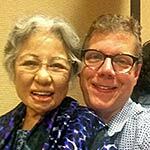 She is presently working with Susan Strickler on A Vow from the Ruins, a documentary on the life of Setsuko Thurlow. Amber is a collage animator, who loves to draw, cut and compose her work combines textures and pattern with a clean aesthetic, to create rich narratives. 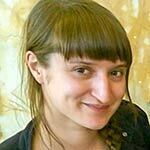 She is also a keen animator, bringing the disciplines of collage into puppetry and stop-motion animation. Her work has been featured in a number of exhibitions with other Drawn Chorus Collective members as well as group exhibitions in the UK and abroad. She lives in London. Coleen studied at the School of the Art Institute of Chicago and the Whitney Independent Study Program with Owen Land (aka “George Landow”), Stan Brakhage, Yvonne Rainer, Carolee Schneemann, Jack Smith and Vito Acconci, and worked on film and sound projects for Dennis Oppenheim, Gordon Matta-Clark and Les Levine. She formed the collaborative X&Y with Robin Winters in 1976, The Offices of Fend, Fitzgibbon, Holzer, Nadin, Prince and Winters in 1979, and co-founded the New York based Collaborative Projects, Inc. (Colab) in 1977 through 1981, along with forty plus artists. Photographer: Tom is an artist who documents journeys, experiences, thoughts, dreams, nightmares, beauty and discontents. 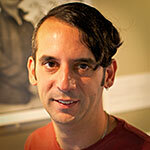 His work ranges from metaphoric travel snapshots to fragmented self images and downloaded assemblages. He is interested in poetic beauty and explorations of the boundaries of the self. The internal structure of his photographs plays with the external architecture of their installation. The photos build a history of a world where language does not always belong. One moment is simple beauty, the next is that which we prefer not see. He lives between Pauling, NY, and Berlin, Germany, and is focused on permaculture and sustainable living. 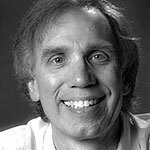 Photographer: Keith spent ten years as co-founder and teacher at the CAUSE Alternative School in Buffalo, NY, which became the model for citywide efforts at desegregating the school system in the 1970s with interest-based magnet schools. His involvement with photography began with two significant photo-history research projects in Buffalo. In 1981 he moved to NYC to become a commercial photographer, but 10 years later he realized his passion was for photo-documentary work. This work has largely been focused on modern music composers, community building and LGBT performance art on stage, in the street and in the studio. He was recently recognized for his efforts at saving 135 years of institutional archives at the YWCA of Brooklyn, preserving an important history of women in Brooklyn. Presently the restoration of his 1892 brownstone in Bed-Stuy, Brooklyn, takes up much of his time as does his efforts in community gardening with his neighbors. 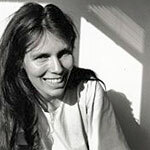 Photography: Janis is a photographer in New York City, working for non-profits as well as publications. Now emphasizing her small-group workshops in Cuba and Peru, she creates customized workshops with participants’ interests in mind. 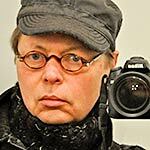 Presently she has been teaching and working with communities in New York City, teaching private and individual classes and workshops on photography, Photoshop and photographic history. 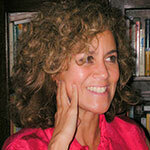 She has been widely exhibited and published, especially her decade-long work in Cuba. She has been photographing the work of the students of Youth Arts New York founder Robert Croonquist for over 20 years and teaches photography to cancer survivors at The Creative Center. Her work has been published in the New York Times, Aperture and Random House and is collected by museums and private collectors. At the moment she is working on a project on Latin America immigration to Queens, New York, continuing to expand her portfolio. Cynthia works in 16mm, super 8 and video, creating films and videos which integrate hybrid forms and traditions including experimental tropes, cinema verité, scripted narrative, ethnographic observation and dance and performance. Her work engages with cultural and political themes, such as identity, nationalism, the transgression of borders, displacement, nuclear arms and war, foregrounding the human experience and personal testimony. She is the 2017 recipient of the Guggenheim Fellowship. 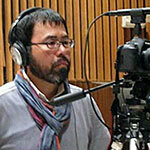 Taku produces documentary films, television programs, and multi-media digital content. Since 1992 Taku has collaborated with renowned Japanese Artist Mr. Seitaro Kuroda and has become an integral part of the War Tales project as well as the Pikadon Project, an art initiative which has taken root in 15 cities worldwide. 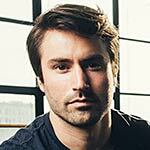 He is involved with projects to advocate sustainable development in indigenous communities around the world. His recent projects include the TBS music legends documentary series Song to Soul as well as documentaries with NHK on the global paradigm shift in economy and finance. The War Tales series won a 2004 Peabody Award and the Galaxy Award (Japanese Emmy) Grand Prix; the documentary John Lurie and the Lounge Lizards: Live in Berlin won Best New Director at the Lisbon International Film Festival, and was selected for 24 other international film festivals; the film Be Quiet, Sit Down and Listen was an Official Selection at the Native Americas International Film Festival and in the First People’s Film Festival. Taku’s film Fishing with John has been a cult documentary hit in the United States, Japan, Germany and in the United Kingdom. Meg is a composer and jazz violinist. All About Jazz called her the “queen of chamber jazz”. She has performed with David Bowie, Lee Konitz, Tom Harrel, Steve Swallow, Sam Newsome, Philip Glass, Jeremy Pelt, Dianne Reeves, Ziggy Marley, David Benoit, Terrence Howard, Cirque du Soleil, and received Grammy nomination for the album “Second Half” by Emilio Solla Y La Inststable De Brooklyn. Hailed by the New York Times as “vibrant” and “sophisticated,” Meg has appeared on over 50 albums and soundtracks, and composed for films, chamber ensembles, orchestras, and dance companies. 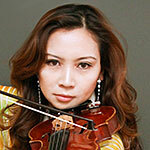 She has received numerous grants including the Jerome Fund and New Music USA. Eiko is a movement-based multidisciplinary performing artist who collaborates with her husband Koma. 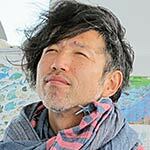 Eiko & Koma were honored with double Guggenheim fellowships, and the first United States Artists Fellowship. They are the first collaborative pair to share a MacArthur Fellowship and the first Asian choreographers to receive the Samuel H. Scripps American Dance Festival Award and the Dance Magazine Award. Both Eiko and Koma individually received the inaugural Doris Duke Performing Artist Award. From 2014-2016 Eiko directed and performed a solo project A Body in Places accompanied by a photo exhibition A Body in Fukushima with photographer William Johnston which has toured Philadelphia, Hong Kong, Chile, Florida, Vermont and North Carolina and was featured with an exhibit of the Hiroshima Panels at Pioneer Works, Brooklyn, under the co-sponsorship of Youth Arts New York/Hibakusha Stories and the Maruki Gallery of Tokyo. Eiko earned an MA in atomic bomb literature and translated Kyoko Hayashi’s From Trinity to Trinity (Station Hill Press, 2009). 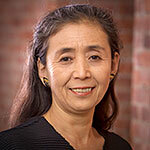 She is the founding fellow of the Center for Creative Research (CCR) and a visiting artist in Dance and East Asian Studies at Wesleyan University where she teaches courses on the Atomic Bomb and other environmental disasters. 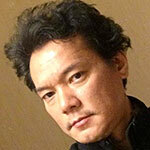 Rieko is a magazine editor/writer of East River Films, Inc. and a member of Cinema Forum Fukushima. She has contributed articles to a number of Japanese news and cultural magazines. 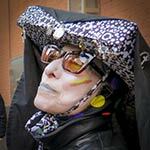 She helps with the videotaping and live streaming of Hibakusha Stories. 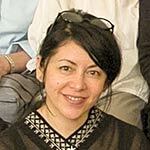 She received MA in Cinema Studies from NYU, and is a MA candidate of Japanese pedagogy at Columbia University. Jean is a multi-lingual singer, storyteller and composer, mixing aesthetic approaches from jazz, folk, and Brazilian traditions. Her one-of-a-kind narrative songs, which range from fantastical riffs on old folktales to autobiographical sojourns, to “photojournalism”, a genre of her own invention, have won recognition from the ASCAP Foundation and the New York Songwriters Circle, and her refreshingly candid performance won her the audience prize at the Montreux Jazz Festival. Sam is a saxophonist, composer, and multi-reedist, has performed internationally with artists such as Brad Mehldau, Lucia Pulido, Folklore Urbano, and Darcy James Argue. He has released five critically acclaimed recordings as a leader, and appears on over thirty albums as a sideman, and has been featured on NPR and PBS, and has performed at BAM, Carnegie Hall, the Newport Jazz Festival, BMW Jazz Festival (Brazil), and Lincoln Center. He was recently seen in the acclaimed The Band’s Visit at Atlantic Theater Company. Photographer: Paule is a portrait photographer based in New York. He has accepted every kind of photography assignment from fashion to landscape until settling firmly into portrait photography. His most recent project, FROM ABOVE, features portraits of hibakusha (atomic bomb survivors) and fire bombing survivors from WW II. The project has been exhibited in numerous galleries and museums throughout Japan and Europe and was published as a book. This award winning book is available through the Photo-Eye Bookstore. Dan has made a name for himself as a pianist-composer of wide-ranging ambition, individuality and drive — “a remarkable musician” in the words of the Washington Post and one “who refuses to set himself limits” in those of France’s Télérama. 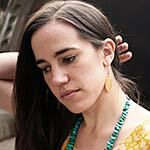 The New York City-based Tepfer, born in 1982 in Paris to American parents, has performed with some of the leading lights in jazz, including extensively with veteran saxophone luminary Lee Konitz. Awards include first prize and audience prize at the Montreux Jazz Festival Solo Piano Competition, first prize at the East Coast Jazz Festival Competition, and the Cole Porter Fellowship from the American Pianists Association. 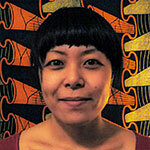 Yuko is a graphic designer and co-founder of Todos Somos Japon. The group works to release communicative political dialogues among people of Japan and worldwide through its bilingual website Japan-Fissures in Planetary Apparatus. The members and contributors include wide range of people who have been protesting against capitalistic imperialism, including the nuclear regime. Since March 2011, TSJ has organized numerous rallies, events, and teach-ins in NY.